Finding a dentist can be a complicated and stressful process, and even more so when looking for one genuinely interested in you and your oral health. At Dentistry at Consilium, we are committed to our patients and this manifests in the personalized and comprehensive care we provide. A boutique practice, the dental services we offer designed to help you achieve and maintain your best smile with compassionate and genuine attention to your oral health needs and smile goals. Breaking the stigma, we leverage modern technologies to minimize or eliminate pain and discomfort during your treatment to encourage a more comfortable and safe dental experience overall. With multi-generational patients, our practice has been the dental home for countless individual and families seeking professional, experienced care. Many satisfied patients, trusting in our expertise and commitment to their health, return to our practice year after year to receive our quality care. Will you be one of them? 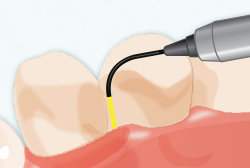 LANAP® is a treatment protocol that uses dental lasers to remove bacteria that cause gum disease. Minimally invasive and comfortable, LANAP effectively treats any stage of gum disease without scalpels, incisions, or sutures. We hold advanced training and certification in the LANAP protocol. 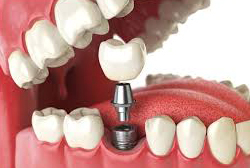 Dental implants can be used to restore one, several, or a full arch of missing teeth. Considered the “gold standard” of tooth replacement, dental implants restore long-term function and health to the smile. We are trained to place and restore dental implants and have many years of restorative experience. The Pinhole® Surgical Technique (PST) reverses the effects of gum recession without the need for gum grafts. 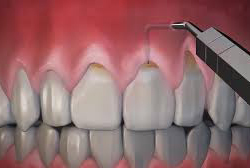 Gums can be repositioned back over the tooth roots using a tool inserted through a “pinhole” created in the gum tissue. We have extensive training and experience in Pinhole rejuvenation techniques. 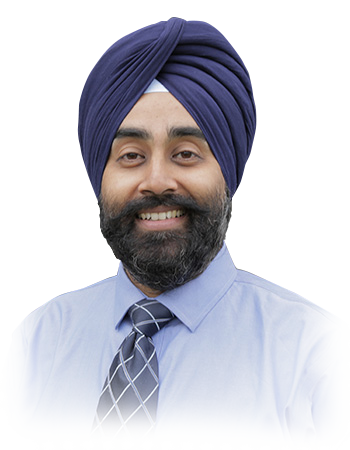 Dr. Saini holds a Bachelor of Dental Surgery from S.G.R.D., I.D.S.R. in Amritsar, India, is a graduate of the dental program at New York University, and received his Master of Science in Dentistry and Certificate in Periodontology from Indiana University. A dentist since 1999, Dr. Saini was recognized as a Diplomate of the American Board of Periodontology in 2011 and is an active member of the American Dental Association, American Academy of Periodontology and the Ontario Dental Association. Dr. Saini is also a member in good standing with The Royal College of Dental Surgeons of Ontario (RCDSO). A leader, author, lecturer, and past clinical instructor, Dr. Saini has undergone extensive training in advanced services such as LANAP®, LAPIP®, and Pinhole® Gum Rejuvenation techniques. A graduate of the University of Toronto, Dr. Train has been practicing dentistry in Scarborough, ON for more than 35 years and has worked at Dentistry at Consilium since 1984. He currently teaches senior students at the University of Toronto’s faculty of dentistry in the senior clinic with a focus on restorative dentistry and crowns and bridges. 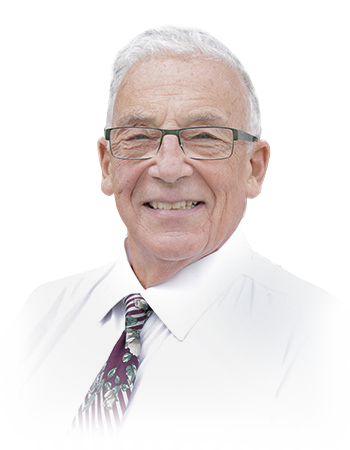 Along with being a dental consultant to AFM in New York, Toronto and Chicago, he is an active member of the Academy of General Dentistry, American Academy of Periodontology, Ontario Dental Association, and Toronto East Dental Society, among others. He is a family dentist with a particular interest in crowns and bridges, periodontology and dentistry for brass musicians.